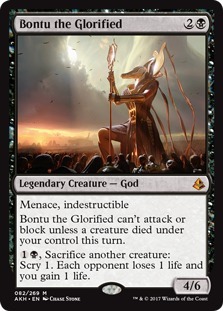 Amonkhet spoilers are in the books, with every card from the being previewed this past week. 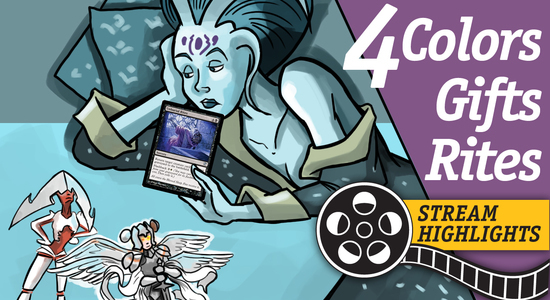 Check out our three new planeswalkers, the five Gods, and cards that enable Modern infinite combos, and possibly a legitimate Standard Zombie deck. 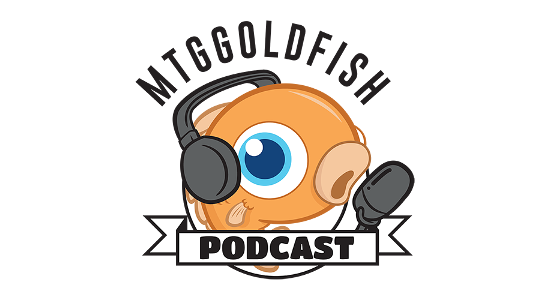 Be sure to check out the complete Amonkhet spoilers at mtg.fish/akh. 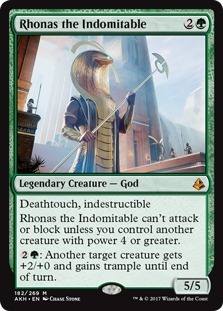 Amonkhet Daily Spoilers — April 11, 2017 | X-Costed Nissa, Best God Rhonas, Zombies! 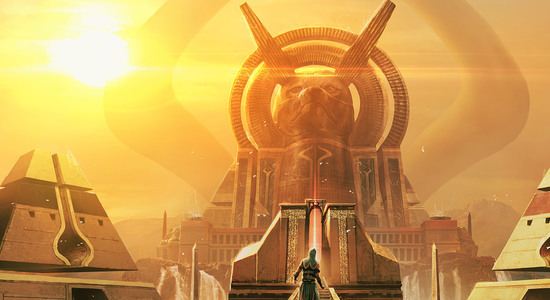 Amonkhet previews wrapped up this week and it was the cards from Magic's newest sets driving price movement. 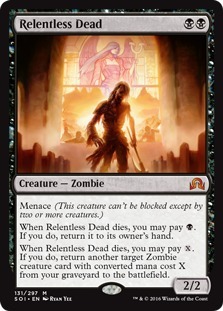 In Standard, the biggest beneficiaries were Zombies and other cards that could go in the hypothetical Zombie deck. Relentless Dead nearly doubled in price to about $10, while Cryptbreaker, Fatal Push, and Collective Brutality all ticked up as well. 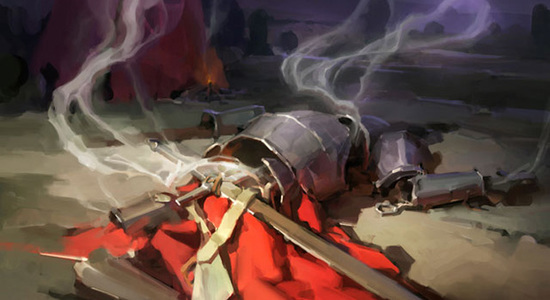 While having a tier Zombie deck seems possible, nothing is guaranteed, so there's some risk. 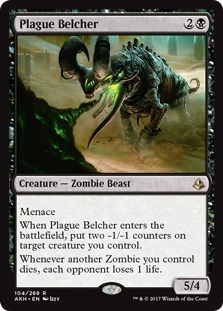 Plus, all of these cards rotate in the fall, so this is their last chance in Standard. 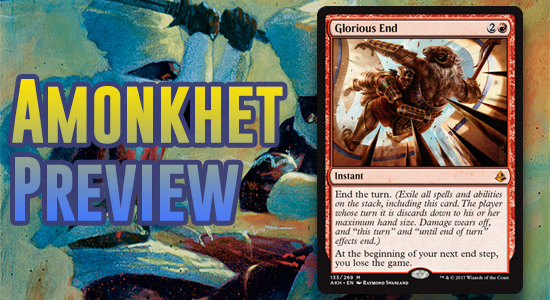 It's probably fine to wait and see what Pro Tour Amonkhet brings, but be ready to sell quickly after, win or lose. 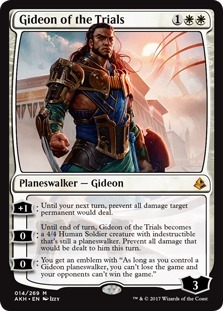 In Modern, the lowly common Devoted Druid is now about $6 (up from $1 a couple of days ago) based on combo potential with Vizier of Remedies, which basically makes Devoted Druid tap for infinite mana. 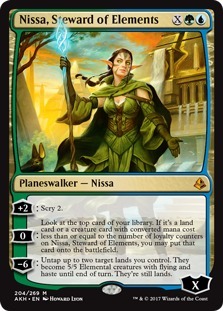 The most likely landing spot for this combo would be some sort of Abzan Company list, perhaps running Duskwatch Recruiter as a finisher to take advantage of infinite green mana. 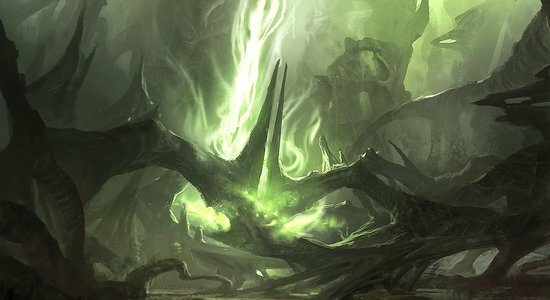 Personally I'll be digging through my green bulk to find any copies of Devoted Druid and selling them into the hype. 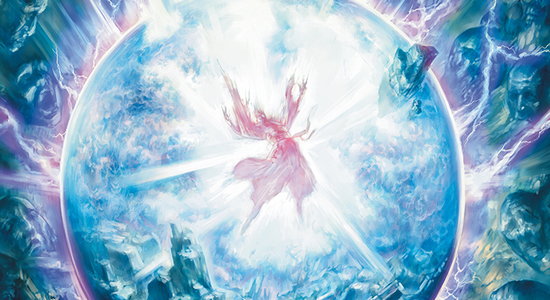 Even if the combo breaks into Modern (which isn't a guarantee), how much higher can Devoted Druid realisticly get? 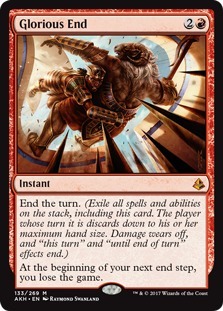 Oh, and Surgical Extraction, which is showing up in sideboards of just about every deck in every color, is currently up to $27. 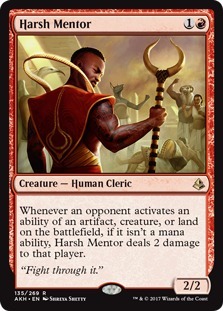 Finally, Amonkhet is making its presence felt in the world of casual play as well. 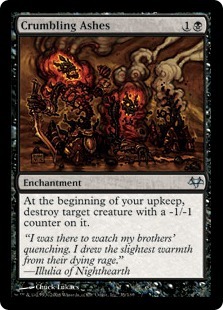 Eventide uncommon Crumbling Ashes doubled up to nearly $4 thanks to -1/-1 counter synergies, and someone sent me an infinite combo list built around Blowfly Infestation (which hasn't spiked yet). For me, this is the new frontier in MTG finance. 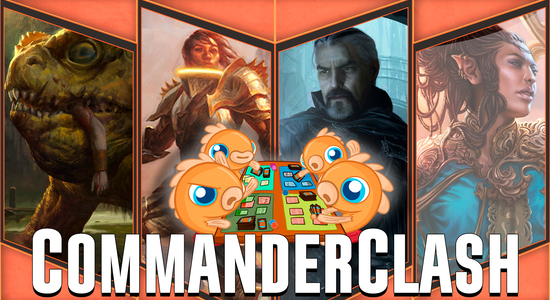 We've seen multiple times over the past year that if you can pick the next great casual card when a new set comes out, you'll be handsomely rewarded. If you've been ignoring the casual market, it's time to change your ways. 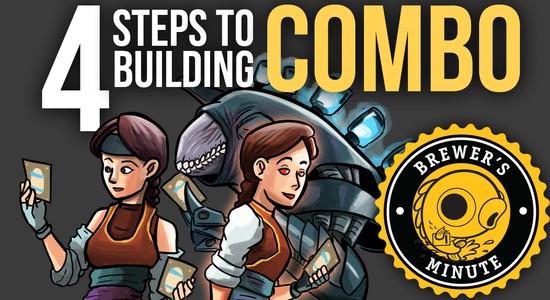 With such a heavy focus on reprinting constructed cards, the casual market feels safer and has potential to be just as profitable. 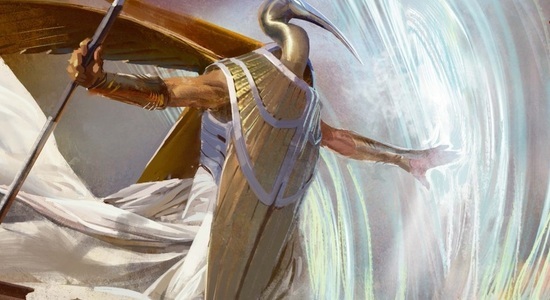 Vintage 101: Planeswalk like an Egyptian!